Established in 1995 by Certified Clinical Nutritionist and Wellness Expert, Ed Levy, Nature’s Corner Natural Market is the area’s premier grassroots destination for all things healthy. Designed with the intelligent, attentive, health-conscious customer in mind, we offer an incredible selection of the finest organic, local and natural products available. Nature’s Corner is committed to the health and well-being of our community. That’s why we choose local. Whenever possible we bring you the best our area has to offer. Everything we label local comes from no more than 200 miles away. Choosing local helps us reduce our carbon footprint and strengthens our economy all the while providing our customers the freshest, highest-quality products possible. 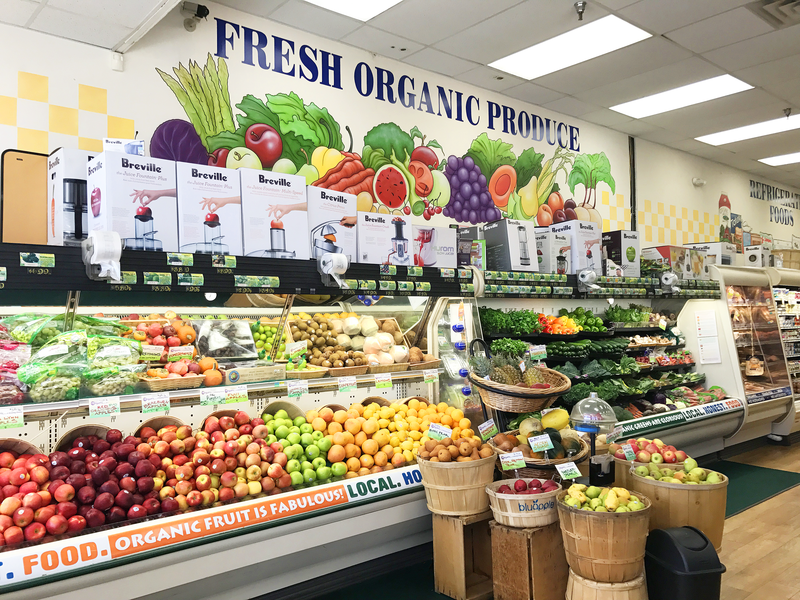 Our store boasts the county’s largest selection of local organic produce, three to four times that of other area stores, so fruits and vegetables are always incredibly fresh and flavorful. We also use that produce in our deli, organic salad bar and our organic juice and smoothie bar. Each of our offerings is hand-crafted with the highest standards of quality, cleanliness and taste. Nature’s Corner features an incredible Nutritional Supplement selection. Our well-informed staff can help you find everything you need for better health. You will find a fantastic array of diet-specific sections including 100% organic, non-gmo, wheat and gluten-free, sugar-free, dairy-free, vegan, raw food and Paleo. If it’s cruelty-free, organic body care your looking for you’ll find it here. We stock over 40 lines of the finest and cleanest brands in the industry. Browse through our unique greeting card section. All of our cards are made with 100% tree-free paper. You’ll also find an eclectic selection of fine aromatherapy, natural candles, informative literature, and house-wares. We hope to see you soon.